To save her home, Princess Terrwyn will join her twin brother Erec and little sister Taite on a desperate quest to find Dracengard, a mythical place that few believe even exists. They must brave man-eating monsters, demonic knights, and opportunistic pirates as they flee the Wizard's clutches with a magical stone that legend claims holds the power to destroy the forces of darkness. About the Author: Christopher Vale lives in Florida with his beautiful wife, three adorable children and two fluffy dogs. 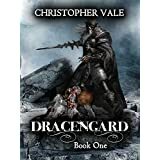 The idea for his first book series "Dracengard" began when he was in a playwriting class in college in 1995 and evolved over the decades to become what it is now. You can visit him on the web at ChristopherVale.net. 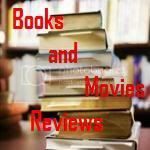 My Review: What a great book! Initially I thought that this would be a variation of Morgan Rice's books from the "Sorcerer's Ring", but this author brings us a completely different new world, full of adventures, monsters, betrayals, plots and counter-plots, sacrifices, all the good ingredients to make this book an instant success. It is a very pleasant reading that will keep you entertained for hours. The plot is interesting: a wizard tries to reunite some magic stones that would give him power beyond anything imaginable. There is a dark knight helping him with an army of monsters. One of the stones is guarded by a royal family. When under attack, the king send out his three kids (princess Terrwyn, her twin brother Erec and her little sister Taite) to go with the stone to this mystic place called Dracengard. It is a journey full of incidents and they got split in a certain moment. Erec is captured and Terrwyn and Taite proceed their journey, counting with the help of some dubious characters. The book is full of action and you will read it at the edge of your seat. This is the first book of a series, so it does not end gracefully. It has a hook to the next episode, that definitely I will be reading in the near future.